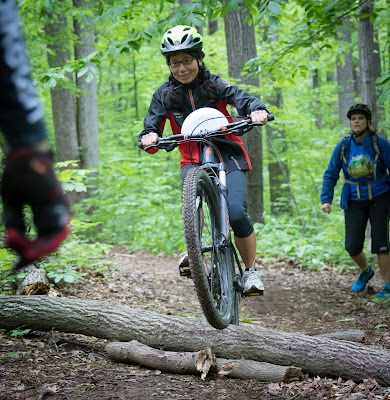 AngryMountainBiker Show: 3 Tips for Overcoming Fear, Snowshoe Mountain Downhill Camp Breakdown! My Bike Broke! I'm Going Carbon! I know! I realized that after I wrapped. Ah well, here's to you, Sit Down Pete! Man! What a great weekend! Looking forward to next time! !